Laurie and her widowed mother have always been good friends until her mother meets and falls in love with a young, handsome man, Blue. The romance progresses and two weeks later, Blue moves in with them and Laurie's life begins to change dramatically. Laurie is confused by Blue's sudden attention. Is he coming on to her or, is he just being affectionate? Does her mother's boyfriend want her? After a sexually charged day with Blue at the beach, Laurie tries to confide her uneasiness to her mother. Her mother refuses to listen and defends Blue. Abandoned by her mother, Laurie is increasingly frightened by Blue's threatening behavior. Laurie begins to feel that her life is in danger. Whom can she turn to for help? Where can she go to feel safe? Alice Jacoby, a native New Yorker, is a graduate of the School of Industrial Art, Brooklyn College, Columbia University, and New York University. She was a college English teacher, a young adult librarian for The New York and Brooklyn Public Libraries, and a high school librarian before becoming a full-time writer. She lives in New York City and is currently working on a second novel and a short story collection. 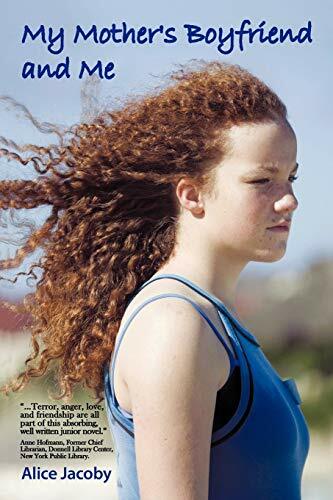 Grade 7 Up Fifteen-year-old Laurie has led a typical metropolitan teenager's life until her widowed mother falls in love with 27-year-old Blue. Over Laurie's objections, handsome, rootless Blue moves into their apartment. Alternately attracted and repulsed, Laurie is unable to define her problem. Is Blue touching her too much, or is he just trying to be nice? Jacoby does convey a great deal of useful information about a type of sexual abuse, and readers will become aware of several solutions for themselves or their friends should they find themselves in the same situation. Positive role models are provided through a supportive neighboring family. There's more message here than story, but characterization is strong and the writing is good. Jacoby makes it very clear that if someone loves you, he cares about your feelings and welfare and that any kind of touching is wrong if it makes you uncomfortable. Cindy Darling Codell, Belmont Junior High School, Winchester, Ky.